You will see people using iPhone almost everywhere in the United States, but Android devices are also very much there, though harder to detect due to the fact that these come in several shapes and sizes. Apple and Google are two big names in technology and both are growing in size and revenue year over year. The reason of their growing popularity is the fact of introducing new and exciting new devices. 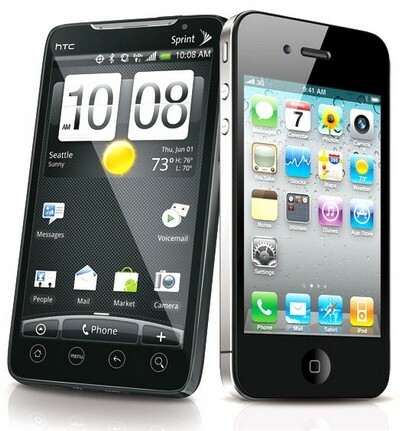 Reuters recently reports that both Apple and Google are trying hard to fortify their place in different markets. This is not an easy task as they have to plan each and everything carefully including determining a price for their products. Google is already doing well with its Android platform in the entire smartphone industry. Google’s Android mobile operating system can now virtually be seen in mobile phones as well as tablets. Apple is slightly behind the search giant, but this doesn’t mean that Apple’s products are not getting the required attention. Apple’s market share in the 12 weeks to end-November rose to 36 percent in the United States from 25% a year earlier and in Britain to 31% from 21%. However, in France its share slipped to 20% from 29% and in Germany to 22% from 27%. Similar drops were seen in Italy and Spain. The report clearly shows that iPhone is gaining market in US, UK and Australia, but in rest of Europe Android is way ahead of iPhone. It seems that the major reason of the decline in iPhone’s popularity lies somewhere in price. Apple’s products are not at all affordable or inexpensive. And the majority of the countries in Europe are facing economical crisis of some sort that force customers to turn to the relatively cheaper devices than having an expensive one. Google is a big name and it is currently offering a host of products ranging from cheap to expensive. Its inexpensive devices entice the customers over Apple’s expensive products. The Android platform has hit 61% of smartphone sales in Germany alone in last 12 weeks, reports Reuters. Apple is still enjoying healthy sales of its products in many parts of the world and reducing price at this stage may not seem a willing decision for the company. So, the company is happy enjoying the second spot rather than lowering the price for its product at least for now.